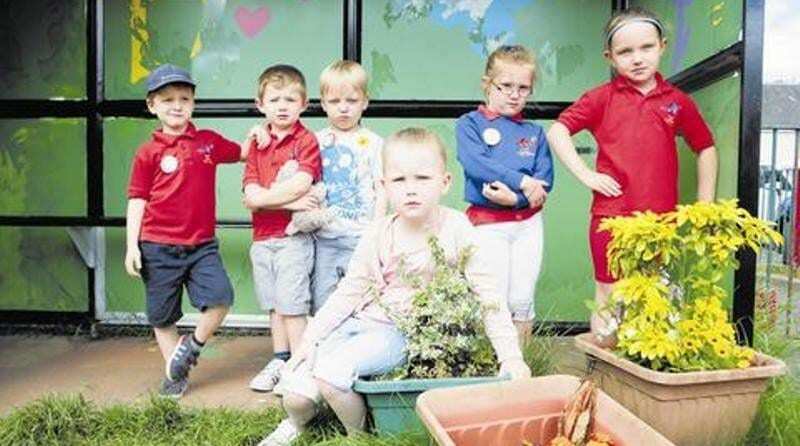 Children at Madras Family Centre in Neilston have been left heartbroken after vandals broke into their nursery and damaged their eco-friendly greenhouse in their 5th attack of the year. With other equipment broken and burned, including children’s scooters, head of the centre Vicky Devlin said “The children are really sad and disappointed that someone would want to do this to their nursery garden. “They get so much from learning and playing outside and a lot of time and effort has gone into making it a special outside space, so it’s quite shocking that it has been vandalised in this way. This most recent attack, which saw the greenhouse targeted, also saw the newly decorated weather shelter damaged with windows and doors broken and burned, whilst the play ship had its steering wheel removed. Madras Family Centre has been targeted at evenings and weekends and the cost of the damage this term has amassed to over £1,000. The nursery is pleading that if anyone sees anything suspicious near the setting, that they contact police immediately. What could drive someone to attack a nursery 5 times in one year? What effect could this have on the day to day running and safety of the nursery? Could there be a lack of security at this Family Centre? Maybe they should consider installing CCTV cameras on the outside of the building – these do not have to be very expensive as seeing the cameras, and the CCTV notices posted around the perimeter, puts off most ‘vandals’, as we have learned. Depending upon what their perimeter fencing is made of and how high it is, they could also install ‘fox/cat deterant’ metal strips on top of their walls or fences. These have sharp barbs and are also effective in putting vandals off as they don’t want to ruin their clothes/trainers etc or risk hurting themselves.